By taking the time to demo different sets of cabling, great rewards can be had in terms of system synergy. To appreciate what a particular cable technology does, you need to use it to outfit the entire system. Sure, you can experiment with one IC or one speaker cable, but still unanswered is the question of how much is the new cable introducing the change in sound and how much of the change is caused by the mating of the two (or more) types of cabling? An individual who has a menagerie of wires never knows precisely what any cable’s characteristic sound is like. To really know if you like the sound of a cable, you should seek to hear the system completely outfitted with it. That’s not possible for everyone, but should be the goal. The Jazz cable is light sounding. It’s got a whip-like clarity to it, and it doesn’t stray from that characteristic no matter what music is played. In a decidedly inappropriate comparison of apples to oranges, for instance, the Jazz does not have the weight and clarity to it that the MIT AVt MA cables have. However the MIT’s are three times the price. Move up the line in Jena Labs to that level, along with an attendant increase in total gauge, and that gap may narrow significantly. One could not find two more contrasting sounds in cables, it seems. The MIT’s seem to capture the sound and amplify it virtually as it jumps off the instrument. The sound is so immediate that it almost overwhelms the sense of space, like a recording mic two inches away from the instrument and the recording needle pegged. It’s a very pleasing effect, but it does sound meticulously processed. Conversely, the Jena Labs Jazz steps back, does not seem as physically connected to the instruments and presents a sound more like an out of body experience. There is more air, more distance and an ever so slight haze. The listener gets the sense that they are several feet away looking at the instruments, and the room’s walls seem pushed out several feet. It is a decidedly neutral sounding cable. The difference might be explained this way; the MIT cables would be similar to a recording done in a more sterile environment, say a recording studio with artists laying down their best tracks. Alternatively, the Jena Labs puts you in a Jazz club downtown. Which is better? Your ears have to decide, but if you like the “event” sound where the distance of the band wafts over several feet toward you, you’ll likely enjoy the effect of the Jena Labs products. I found my impression of the Jazz cables validated in something Jennifer revealed – that she and husband Michael operate Dream Dancer Music, an on location recording company specializing in acoustic performances such as orchestra and string ensembles, jazz and choral performances. No wonder their cables have that sound, since they are experienced in live venue recording. They are producing cables which will yield a similar sound. One can hear that they are hitting their target! The Jazz/Java combination is relaxed, romantic, and reluctant to be harsh. No matter the listening level, I did not experience listening fatigue with these cables, something I cannot say of the majority of cables I have heard. If they lack the N’th degree of detail, they compensate with ease on the ears. The Jazz/Java combo is a departure for Jena Labs in that they are the first to be sold direct to consumer online. Also different on the Jazz is the interwoven positive and negative leads in one cable; Jena Labs cabling for each terminal is typically separated as in the case with the Java IC’s. The configuration of connectors and a different amount of wire than the regular line make the Jazz/Java unique. Because of these variables, Jennifer hesitated to make a direct comparison to the existing series of cables; however, she did note that in regards to the Java interconnects, they would be somewhere under the Symphony which retails for $1,100 for the first three feet. At $500 for 3ft, and an additional $50/ft, the Java, according to Jennifer, represents a huge value. 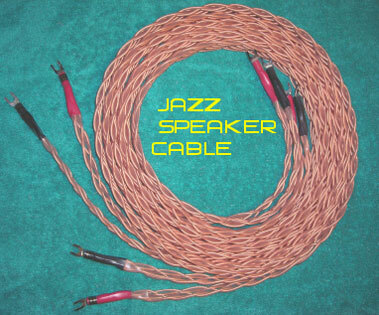 The Jazz speaker cables are priced at $1,000 for an 8ft. pair and $100 per additional foot. 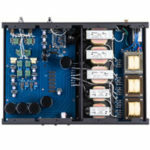 I might add that Jena Labs also offer deep immersion cryo parts, a basic IC kit, a set of jumpers for owners of the Dussun V8i integrated amp, and a speaker cable kit for DIY’ers. 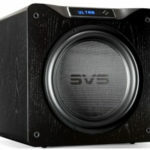 The line of products runs from introductory cables under $100 to top-of-the-line monsters weighing in at just shy of $40,000. In the near future, Jena Labs plans on revealing a line of very high-accuracy speakers ranging from the mid twenty thousand dollar price point to sixty thousand and above. The Jazz/Java combo is reserved-sounding, in that it sounds soft on the ear. Even at higher levels, the treble does not become harsh. I would guard against using the Jazz cables and IC with overly warm or veiled speakers. For instance, the Eminent Technology LFT-8A speakers are a dipole planar magnetic design which has a bit of a rolled-off high-end, and with too laid back of components or cables, can sound a bit remote. With the softness of the high-end in the Jena Labs designs, some may find it a bit listless. However, in bi-wiring configuration, the Jazz cables worked well on the bass driver where it allowed the more forward-sounding MIT’s to bring out more of the high-end. If one has highly accurate or aggressive-sounding speakers, or is looking to tone down the treble energy, these are a good choice. I had extended time owning Magnepan 1.6’s paired with solid-state amplification, and felt at times the treble was a tad aggressive. I wish I could have heard the Jazz/Java combo with them since I believe the cabling could have toned down the assertiveness of the high-end a bit. I also would recommend these cables for persons wishing to tame boomy bass. 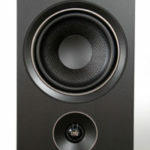 The clean, but reserved low-end of the Jena Labs-sound will please those who do not want a bloated “subwoofer effect” while listening to two-channel. 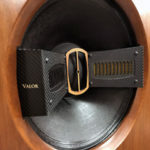 The combination of the Dussun V8i integrated and the Jazz/Java cabling and Von Schweikert VR4 SR MkII’s was engaging. I enjoy female vocals and listening to Susan Ashton and her A Distant Call, particularly track #2 “Blind Side” was a treat. Even at higher levels, the Jazz would not allow her voice to turn shrill or edgy. The rapid click of fingernails strongly strumming, then palm of hand muffling, the guitar strings had a palpability that took me back to my guitar-playing days. The ability of the Jena Labs cables to convey the dimensions of the recording venue were on display with track # 6, “Spinning Like a Wheel,” where Ashton’s echoes reverberate and decay like morning fog dissipating at dawn. songs, and the acoustically open sense the cables lent to the presentation was welcomed. Indeed, the “Jazz club” effect was in full swing. I also used two Jena Labs woven power cords, technically termed the “916-15” (Sounds like one of those military project things…) which means 9 strands of 16 gauge wire with a 15 amp IEC connector. I obtained the color style called “Bumblebee.” (They also come in solid black, yellow, blue green, and purple, as well as combinations such as yellow and green, named Lotus, after the car maker). I found their effects similar to the speaker cabling: controlled, clean and not intrusive to the music. Again, flexibility was excellent, something missing in many power cords! The Jazz and Java cables are very responsive to power cord choice and placement. Initially I had some reservations about the Jena Labs sound since it seemed to be a bit veiled, slightly cottony even through the crystal-clear Von Schweikert VR5 SR MkII’s 7” midrange. I didn’t expect that kind of performance, so I experimented a bit with power cord placement. I incorporated two Xindak PF Gold cords along with the Bumblebees. I tested the Bumblebees as “source” cables and as “amplification” cables. There was a profoundly noticeable improvement in detail and a less cottony sound when the Bumblebees were used as cables to the amplification. One should not be content to simply plug in a power cord and assume the best sound is being achieved. If you have more than one power cable to mate with the Jena Labs you owe it to yourself to experiment with placement. I will insert one but oh-so-important brief, aside in this review as an encouragement to the reader to try the Jena Labs Esoteric 3D-X disc cleaning system. I have written a brief, separate review on it since I found it to evoke such superb sound (Review to be published March 16th. –Editor). This is Jena Lab’s secret weapon. If you are considering Jena Labs cables, I adjure you to purchase their Esoteric treatment as a necessity to truly hear them at their best! It has not failed in impressing me utterly at the openness and expansiveness added to the sound of any disc following treatment using the Jena Labs Esoteric 3D-X system. With such marvelous disc treatments as the Esoteric 3D-X, it should be unthinkable that an audiophile not consider treating his/her entire collection. The Jazz cables are an excellent choice for the audiophile who is looking for an even-handed sound. They yield a very unprocessed, easy sound that is quite becoming and will transport you from Jena’s Lab to your Jazz club.